Product #1328 | SKU BGE8 | 0.0 (no ratings yet) Thanks for your rating! 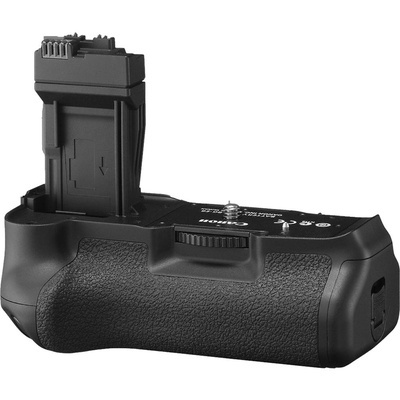 The Canon BG-E8 Battery Grip for the EOS Digital EOS 550D, 600D, 650D and 700D DSLR cameras holds up to (2) LP-E8 battery packs simultaneously to effectively double your shooting power, plus the grip includes a holder to use (6) AA batteries. In addition, the grip includes a vertical shutter release and a mode wheel to provide access to all of the camera functions and make shooting with the camera in a vertical position just as comfortable as shooting horizontally. This grip is compatible with the EOS 550D, 600D, 650D and 700D DSLR cameras bodies.